The NDIS poses a major disruption to the labour market and to the nature of direct support and care jobs, writes Fiona Macdonald, senior research fellow in Work and Employment Relations, RMIT University, in this article which first appeared in The Conversation. While the number of care jobs is growing, cash-for-care systems such as the National Disability Insurance Scheme are changing the organisation and nature of care and support jobs, with significant risks for workers. Before the NDIS, the Not for Profit organisations that have provided most disability support services received block-funding from governments and were paid in advance to provide fairly standardised services to groups of people, often within institutions. In the new individualised “cash-for-care” NDIS, which is being rolled out nationally from 1 July 2016, service provider organisations are subject to greater market forces. This means increased uncertainty for the employers of disability support and care workers. Individualisation means funding is allocated directly to consumers who can exercise choice and control over their services, including over the when, what and how of service provision. Some consumers will choose to directly engage their support workers, taking the traditional service provider organisations out of the picture altogether. This is a major disruption to the labour market and to the nature of direct support and care jobs. Under the NDIS, service provider organisations must compete with each other and with any new provider companies that choose to enter the market for the custom of each individual recipient of disability support funding. Organisations will receive payment only after services have been provided. Service providers have to offer much more flexible supports to suit consumers’ preferences, as people with disability exercise choice to get the particular supports they want to meet their individual lifestyles, aspirations and needs. For example, previously a person may have attended a specialist disability support day activity centre run by the disability services provider. Under the NDIS she might choose instead to have a support worker assist her to participate in a community-based craft class or to attend the local gym or swimming pool. These changes mean service providers must adapt to provide more diverse and variable services, at a wider range of times over the day and week and in many more locations. The pressures on service providers to be competitive, flexible and responsive in the new market readily translate into pressures for more flexible working arrangements for the frontline disability support services workforce. This flexibility is likely to mean more fragmented working time and reductions in the working conditions of this highly feminised workforce. For example, employers are asking the Fair Work Commission for reduced minimum engagement periods, that could see disability workers being engaged to work a single hour at a time. Changes to shift arrangements could have disability support workers working multiple short periods in a single day with large gaps of time in between. These jobs are not highly paid and the gendered undervaluation of support and care work due to its association with women’s unpaid care work has been widely acknowledged, including through the 2012 Social and Community Services Equal Remuneration decision. Much care and support work is already short hours and the risk is that more of these jobs will become casual, with unpredictable working time and with workers unable to get enough work to make a living. 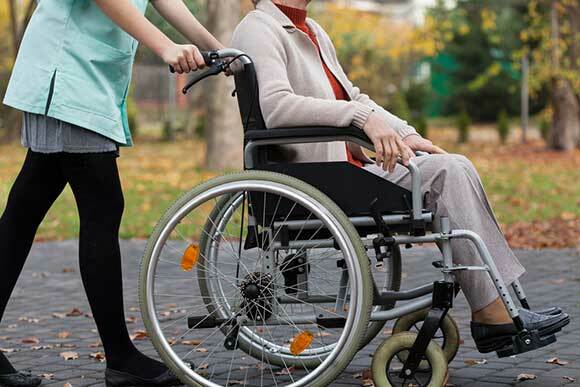 The NDIS, along with the introduction of individualised consumer-directed care in home care services for elderly people, have also brought about a new demand for services to be provided by self-employed support and care workers. For an individual with disability who is managing their own funding, engaging a support worker as an independent contractor is likely to be much easier than becoming an employer with all the responsibilities that entails. However, self-employed contracting is in itself a form of employment in which low-paid workers can be highly vulnerable. Self-employed contractors take on individual responsibility for managing many of the risks of their employment and they have few of the protections and benefits of wage earners. The “gig economy”, where consumers access services directly through technology platforms (think Uber), also might change the landscape for disability support and other care services. It could fuel a growth in the risky self-employed contracting form of employment. There are a variety of new technology-based businesses in Australia’s disability services market already. While some are acting as employers of support workers, others have adopted the Uber model by simply providing matching services for consumers and support workers, with workers left with all the risks of running their own businesses. The individualisation of social support and care is bringing much needed opportunities for control, choice and participation for people with disability. However, there is an urgent need to consider how to ensure the protection of care workers in this new system and provide them with decent work in the future. 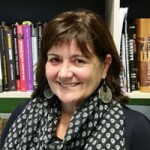 About the author: Fiona Macdonald is a researcher in the School of Management and the Centre for People Organisation and Work at RMIT University. Her research concerns changing forms of employment and the formal and informal regulation of work. Specific research interests are the regulation of employment on the margins of labour law, gender inequality and work and family. Her ARC DECRA research fellowship (2016 to 2019) is examining changes shaping social services work and outcomes for paid support and care workers, both in Australia and internationally. Her research is multidisciplinary, drawing on political economy, sociology, socio-legal analysis and gender studies. Personally I am more concerned about how this model will ensure high quality care for the actual recipients of the care – the clients with disability. How will we know for sure that the people delivering the support and care under a very fluid scheme are properly vetted? As a parent of a young and vulnerable person with disability, I am not sure that I do. This is not mentioned in this article at all yet care and support of people with disability is at the centre and heart of the NDIS. In the end they are the people most at risk if a gig or unregulated labour market emerges from the NDIS.